First I want to apologize for not knowing where to properly place this post. I searched this forum for what I was looking for and it could have fit in several different sub headings. Also, I am very ignorant on Motorola equipment. I have used it as an operator in the past and that's why I like it so much, but as far as my knowledge on their models, part numbers and such, I'm starting from zero. I am more than willing to do the research and work, just wanted some expert opinion on where to get started. Also, thank you for allowing me to sign up and post here. This is an amazing resource and I can see it has an amazing following. The mic connector on my head unit is a 6 pin RJ-11. I am more than capable of soldering, adapting, crimping, etc.. to convert an 8 pin RJ-45 or an 8 Pin DIN if needed, I have been in the electronics field for over 2 decades. I just need the recommendation of which microphones would be my best choice to start with and where to find the pinouts. I searched this forum and the 2-way radio section on astro and various others and no pinouts were provided for these mics except for the desktop mics. I did find the HMN4072E as an example of what I'm looking for, but again, no pinouts anywhere. I found them for just about every other radio out there, but for some reason, either I'm horrible and searching for Motorola stuff or it remains well hidden or cryptic. Also worth noting is that the Yaesu has an inline breakout box they call an extender (MEK-2) that allows for an 8 Pin DIN (Full Size, not mini) mic connection. I can rewire any DIN mic to work if they make a Motorola compact heavy duty palm mic with a full size 8 Pin DIN. Again, I apologize in advance if this is the wrong location to post this and I sincerely appreciate any assistance or advice this great community is willing to provide me for this project. Did I just stump the whole community with this one? batlabs.com (not the forum) and repeater-builder.com are both a treasure trove of info such as you seek. While newer items like your mic may not be listed there, the old tried and true ones like the HMN1056 and HMN1035 are there. If I was in your shoes, I'd build me an adapter/extender with a 6 pin RJ-11 male and an 8 pin female using an RJ-45 (8P8C) surface mount wall jack. That way you'd the have screw terminals in the wall jack to correctly wire up the Motorola mic to match the Yaesu. I have a similar adapter on my CDM1250 in the truck which connects to the accessory port instead of the mic jack. It allows me to run the mic off the radio since the remote head is in a location where I really don't want the mic cord to be. It uses an RJ-45 surface mount wall jack, same as I am suggesting to you. It was easy to build in just a short time. A big bonus is that there's no modifications of the mics so I can use any Motorola mic with an RJ-45 that I want. Currently, I have an HMN-1056 on it. mshipek wrote: Did I just stump the whole community with this one? No, not stumped. People were being polite to you. SteveC0625 wrote: batlabs.com (not the forum) and repeater-builder.com are both a treasure trove of info such as you seek. While newer items like your mic may not be listed there, the old tried and true ones like the HMN1056 and HMN1035 are there. Thank you for taking the time to help Steve, I really appreciate it. This definitely helps, I don't know the Motorola part numbers at all and knowing the HMN1056 and HMN1035 are common is what I was looking for. The one I mentioned in my initial post was basically just one I found on google looking for the smaller form factor and it also appeared to be a very old mic as well, so I thought there would be pinouts for it. Newer ones I expect to take some time to leak out. Would it be safe to say that the MIC pinout listed on this page: http://batlabs.com/gm900.html would be accurate for the mic I mentioned above since it's part of that radio family? Sorry if I offended anyone, was simply asking if it was more advanced of a question than is appropriate on this forum. Probably should have worded it differently. I have a question though, I don't understand what you mean about the community was being polite by ignoring me. Was this the wrong venue to present this problem? Did my mentioning the Yaesu radio upset the community? Like I said, I'm new to the radio world, so I'm trying to be humble and listen and learn. I'm not sure that a Motorola mic would be compatible with a Yaesu radio without some modification. The Moto mics are powered by voltage on the 'MIC HI' audio lead (sort of a phantom power arrangement), while from what info I can find on them Yaesu mics have a separate power (+9volt) connection. If so, you would need to add a resistor from the radio +9volts to the MIC HI lead on the Moto mic, and put a capacitor between MIC HI and the radio mic audio input to block the DC voltage. Something like a 4.7K resistor and 1uF cap would probably work but you might have to play around with the values to get a good sound. A different brand mic never sounds correct on a radio. I install the original mic element inside the better housing and pack with foam rubber to hold in place. Just make the correct connections and the radio will be good sounding. Another issue with the Motorola coiled cord mics is that they normally use the tinsel type wire. This is hard to make a connection to, so do you really want to go down this path? My suggestion is to use the existing connector and use a jack to plug it into. Then make the adapter interface and another connector going to the Yaesu radio. My real concern is that the audio level will match the normal mic for the radio. The only way to be sure is to use a service monitor and actually measure the deviation. Too high of a mic level will distort the audio and too low of audio and people are complaining they have a hard time trying to make out what your saying. As Jack H said, you will probably have to mess around with the resistor value to find the correct value to use. The capacitor size will effect to tone quality. A larger capacitor will move the audio more to the bass side and a smaller capacitor will make the audio move to the tinny sounding side. Jim202 wrote: Another issue with the Motorola coiled cord mics is that they normally use the tinsel type wire. This is hard to make a connection to, so do you really want to go down this path? This is definitely helpful. I think you're right about wanting to go down this path or not. I incorrectly assumed it would be as simple as moving the pinout around to match, but this is becoming a more involved project than I think I'm ready for. I'm wondering now if I should explore other microphones that would be more of a straight cross to the Yaesu, like maybe Kenwood or Icom? My reason for initially going down this path was that the Yaesu mic is very cheap feeling and the ptt seems to key when the wind blows on it. I have always liked using the Motorola mics as a cop and thought I could make it work. If anyone has any previous successes with something else they have used, I would love to hear about it. arlojanis wrote: A different brand mic never sounds correct on a radio. I install the original mic element inside the better housing and pack with foam rubber to hold in place. Just make the correct connections and the radio will be good sounding. This a great idea and it sounds like the easiest. Thanks arlojanis! I forgot to mention that most of the newer Motorola mics are glued together. They are very hard to get apart without destroying them. One idea is to put them in your freezer for a while and then take them out, put them on their side and hit them with a hammer. Some people have commented that they have been able to get them apart in this fashion. I have never tried the freezer method myself. As I have a big box of these mics, when one of mine has had a problem, i just go pull one out and throw the bad one away. Normally the black coiled cord insulation tends to get brittle and crack off after some years in the sun and hot vehicle. The really old Motorola mics have some screws from the back side that you can take out and get into them. These were generally from the Syntor, Syntor X, Syntor X9000 and Spectra family. They have this funky looking flat and double row of pins on the connector that plugs into the back side of the control heads. These also are made with the foil type wires. I have had my Great Dane act like a pair of wire cutters and manage to cut one of my XTL series mic cords in half. Yes you can manage to solder the foil wires back together, but it takes some skill and good patients. Not sure it's worth the effort and then trying to mess with the shrink tubing. The end results looks like crap and you have this splice about 2 inches long where you made the repair that is straight and not coiled. mshipek wrote: Sorry if I offended anyone, was simply asking if it was more advanced of a question than is appropriate on this forum. Probably should have worded it differently. On the contrary Max - people were trying not to offend you by jumping on the noob for not looking up the answer. It's a fairly basic problem, and we've had customers that requested we put This microphone on That radio, or vice versa. Sometimes it can be done, and sometimes it can't. And as pointed out already, it's not a simple wiring problem - there is the mic element to consider, and how well it will match the radio. There is a high probability the first swing at bat will be a strike, but you try again. Very well said Bill. That makes perfect sense to me and I can relate, thank you. I think when we become so familiar and experienced with something, we tend to assume things that are simple to us are as simple to someone new to the field. I know from being in IT for over 25 years and people ask me questions regularly about things I think every average intelligence person already knows or could find with a simple google search, I roll my eyes and bite my tongue. However, I have stuck my foot in my mouth a few times after finding out the person asking for help actually worked for days trying to solve the issue themselves but just didn't know where to start or how to get there. 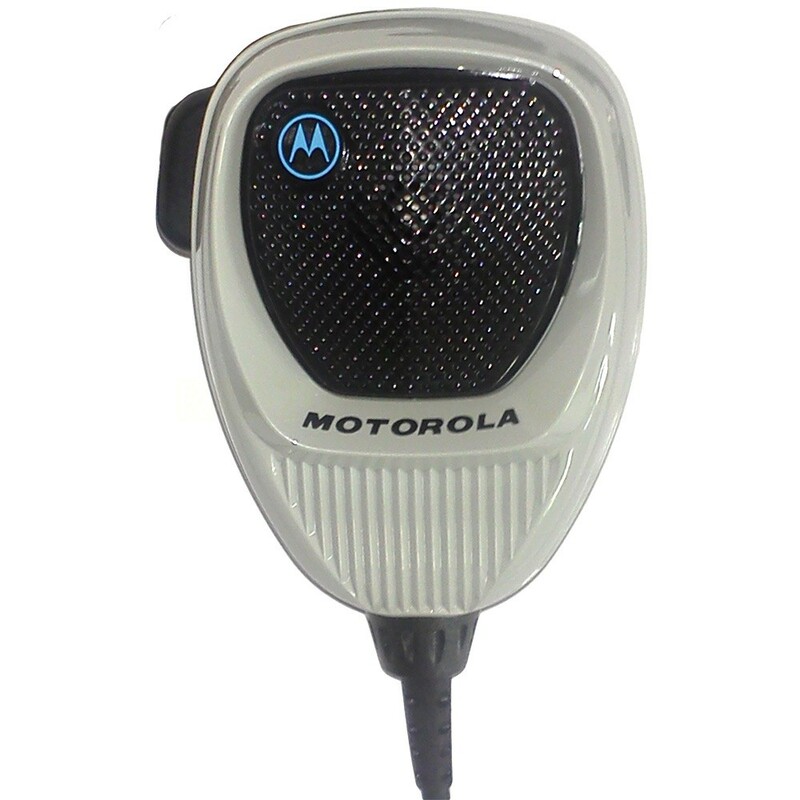 I did make quite a few attempts to learn the Motorola products and models, but it became so overwhelming trying to figure out which microphones worked with which systems and which ones where capable of working with other manufacturers, etc.. I even contacted Prime, HRO and BearCom. In other words, I am definitey a noob in the radio field and rather than continue to pull my hair out searching the net and forums, I thought it best to reach out for some support from the experts and I'm glad I did, the things you guys have pointed out I was completey unaware of and would probably have shorted out my radio. Basically I am trying to say thank you while explaining that I did make an effort so as not to expect someone to do it for me, I'm not like that at all and am usually the one helping everyone else. I'm glad you are so understanding Max. We try not to respond with RTFM around here. Welcome to world of analog where the correct answer is often Maybe/YMMV, and inelegant solutions sometimes become the rule. The mic hack is a common request. Anyone with some experience with it will groan internally knowing that the results are highly subjective, and take far longer than you wanted to invest if it isn't an off-the-shelf solution. IE: people wanting headsets in a firetruck can deal with distortions better than the people in a broadcaster remote production van. But, I'm so OCD, I want all radios to sound musical, and like the guy is talking to you from the next room. Not always achievable, but I get close. While this isn't directly related to mshipek's original post, it does relate to Motorola microphones. I've noticed that while a number of the compact /\/\ mics pin-out the same, there seems to be an audio level different between them, when used on the GM900-series mobile radios. Some are quite a bit quieter, than others. Was there an impedance difference between models, with the standard RJ45 plug? I've got a number of them ready to be paired-up with a few GM900 radios, and I'd rather not run into problems, after they're installed in the field. If it's a consistent difference between models on the same radio, then I'd have to guess it's a design thing perhaps influenced by noise canceling built into the mics. But, if it's individual mics on individual radios, then we get into the Twilight Zone. I'll have to dig out the mics, one radio, and put them on the bench. After running them through some tests, while tracking the model # of each mic & its respective performance, I hope to have a better idea of what's going on. Since they're used mics, perhaps they're simply dirty. Mics have been known to sound a bit muffled, when the element gets block with dirt/dust. It wouldn't be the first time. Just the same, my gut tells me there's something odd going on with them, but I'll have to perform some tests, before I can draw any conclusions.